A few months ago we wrote about Sonnet James, a line of dresses with the goal of being comfortable, making you feel put together and glamorous, while still being able to play freely with your children. 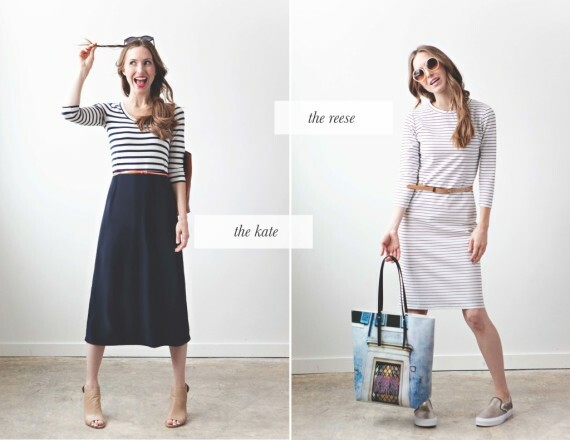 The line unsurprisingly has taken off since then, and now creator Whitney Lundeen has decided to attach her Pink Priscilla dress from her spring collection to a cause near to her heart. Not too long ago I watched a documentary called A Walk To Beautiful–if you haven’tseen it you can find it streaming on Netflix (it’s so good). As a mother myself, I was moved by the struggles of women who have developed a fistula, or a hole between the bladder and the birth canal, as a result of difficult childbirth. The fix is so simple (surgery) but so hard for them to achieve, and living with the fistula makes them outcasts. Once the fistula is repaired, the women leave the hospital feeling fresh and clean for the first time in years, and able to wear a dress that will stay clean— or at least until they return home to their small children! I love imagining these moms dancing around with their kids as they return home. This cause is so close to my heart because I myself had a serious tear during birth and feel so lucky that I got the repair I needed. I started learning more about the hospitals that exist just to repair obstetric fistulas in developing countries. 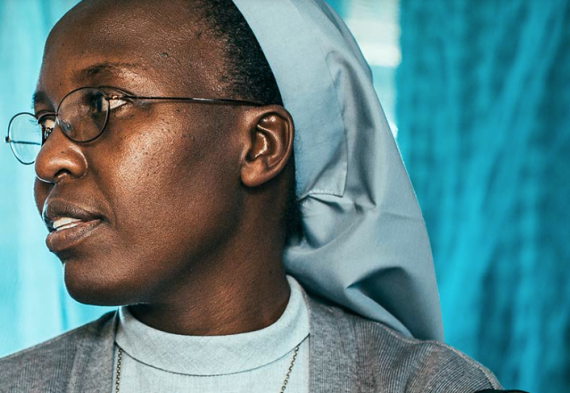 A friend helped me connect with Samahope and Dr. Priscilla Busingye, a nun and OBGYN who provides fistula repair surgeries in Uganda. The average cost of one treatment is around $300, I’m still a small startup but I want to help Dr. Priscilla’s patients in any way I can. This season, the sales from the Pink Priscilla dress will help Dr. Priscilla fund her fistula repair program. One of my big dreams is to someday help local seamstresses produce the dresses those women will wear home after their fistula repair surgeries. 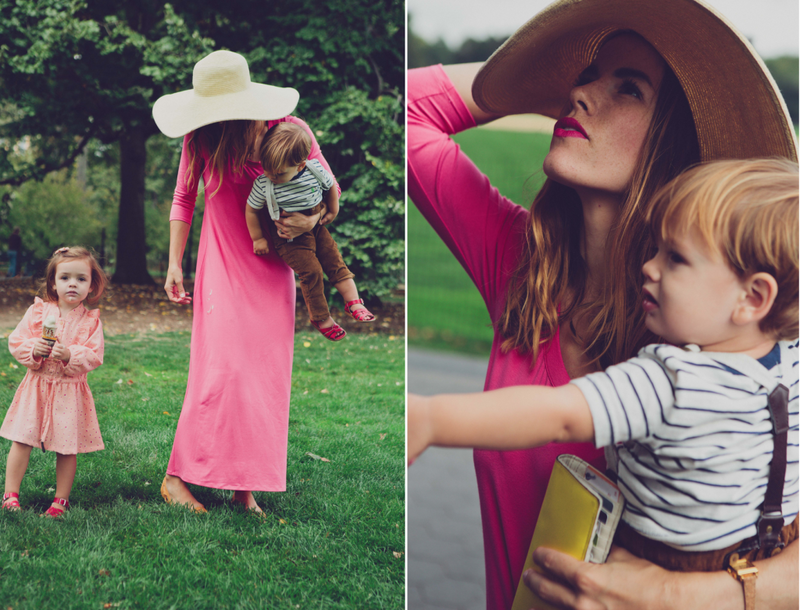 I am so excited to announce that Whitney is offering our readers a chance to win the Pink Priscilla dress! Just enter below for a chance to win! Roma Downey’s “Little Angels” and Giveaway! I Love the Pink Priscilla dress! The Pink Pricsilla dress is wonderful and I love that it represents women supporting other women! Marni dress with stripes! Love those stripes. 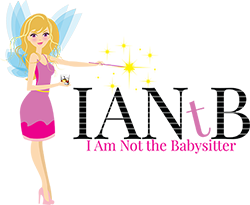 My favorite dress is the Quincy dress in mustard, but if I don’t win this awesome prize, I think I am going to buy the Pink Priscilla just so I can support the wonderful cause! I love the MARNI DRESS in stripe! What a wonderful cause! My favorite dress in the line is the kate. The reece is my favourite dress. Jamie you know I have a dress addiction! How could you??? Love the Pink Pricilla dress! I dig the Marni dress with stripes. Great cause! Beautiful cause and beautiful dresses! I love everything about the Priscilla dress! The Reese dress is currently at the top of my wish list, but I love them all! Love them all! But the Reese is currently at the top of my wish list. I love! I have the khaki marni and love it. The Marni is my favorite. I want every color. I like the Reese but pink Priscilla is the one I would buy. I adore the marni dress in navy! Love the stripe dress! And I love the idea behind the collection! These look comfy and gorgeous! The pink priscilla dress is for sure my favorite! So beautiful! So inspired by this collection! What an incredible cause, I’m so inspired by Whitney and all that she is promoting with these dresses of hers! So inspired by Whitney and everything these dresses stand for! I love the Quincy dress, but am drawn to the Marni dress because it looks most breastfeeding friendly! Love these so much. Amazing! I love the Pink Priscilla dress, so cute. They’re all beautiful! The Kate dress is my favorite.